Sharps and needle clean require trained and skilled technicians to ensure the area is competently and thoroughly to ensure every needle and sharp is found and safely disposed of. Attempting to complete a needle sweep can result in an unwanted and potentially life-threatening needle-stick injury. Needle-stick injuries are wounds caused by used needles and sharps which puncture the skin due to unnecessary exposure and incorrect sweep of the area. Needle-stick injuries are serious as the potential of contracting blood-borne diseases such as HIV, Hepatitis B and Hepatitis C as well as other diseases such as Tetanis. Sharps and needle clean ups are required whenever used needles are found in a public and private are as they can cause puncture wounds that can allow highly infectious bacteria and pathogens to be passed to the individual including HIV and Hepatitis B. Because of the serious risks associated with a sharp prick can be life-threatening, it is imperative that any sighting of a used needle be reported immediately and trained professional be called to remediate the area. When providing a Sharps and Needle Clean Up, Sydney Forensic Cleaning will only provide trained and experienced needle sweep professionals who will work methodically and systematically to ensure the area is left in a safe, needle and biohazard free state. 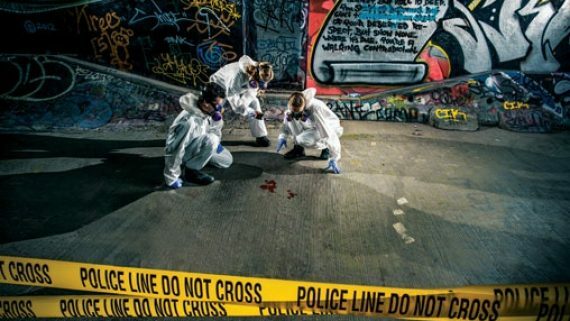 Sydney Forensic Cleaning has a team of trained and specialised sharps and needle clean up experts who understand the dangers associated with the incorrect disposal of dirty and used syringes. Our team is thoroughly experienced in providing a prompt and successful needle and sharp sweep in any area including waste and rubbish, outdoor areas and properties and will guarantee all sharps and needles are found and removed before decontaminating and cleaning the area to ensure all bio-hazardous items and materials are removed. Sydney Forensic Cleaning provides a Sharps and Needle Clean Up service to all metro and regional areas across Sydney and New South Wales and carry out all site decontamination and remediation to the highest standards to ensure the health and safety of all involved. Contact our trained and professional Sharps and needle Clean Up specialists today to ensure a safe, prompt, reliable and cost-effective Sharps and Needle Clean Up service.